something she believes can and will reach a new generation. With no record deal or endorsements, she wrote and produced her first album GENESIS in early 2017, which received critical acclaim, #1 R&B chart placings on iTunes and award nominations in the industry. Ever since then she’s seen her album reach all four corners in the world. She later released two singles “Silhouettes” and now Do You.. to end 2017. She released her latest single “Not For Sale” and it was #1 on the NZ R&B Charts. Her next album with the same title will be released mid 2018. The purpose for a School Tour is to instil hope and purpose in the lives of young people. Our school tours are packed with energy, humour, music and dance. 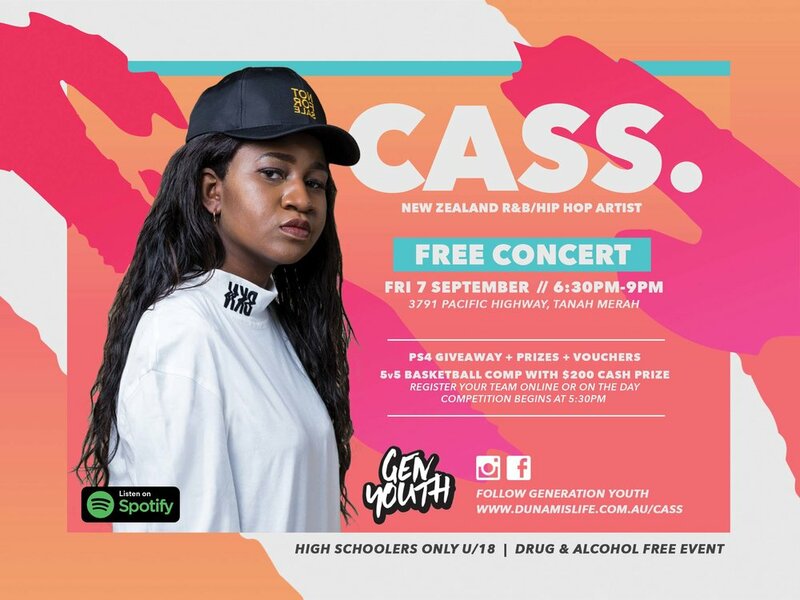 CASS will not only be performing at each school, but sharing with them how to help combat the issues and challenges young people face and to never give up pursuing your dreams and ambitions. We are excited to announce that CASS will be our guest speaker and performer for our SCHOOL TOUR on Friday the 7th September. We would love to partner with your school for one of our presentations. Through the power of music and inspiration of CASS'S story, we would love to partner with you to instil hope and purpose into the live's of the next generation. experience and the journey of CASS.